Right now across the UK, there are around 6,400 people waiting for an organ transplant. Sadly, on average, three people die every day in need of an organ transplant because there just aren’t enough organ donors. And that’s why we need your help. No one likes to think about dying, but it’s really tough to guess what someone you love wanted when they have died. It’s so important to talk to your family about organ donation so they are able to support your decision, and by doing so, you could help save the lives of patients waiting for a transplant. Doctors will always try to save your life, whether you are on the NHS Organ Donor Register or not. More than 25 million people are currently on the NHS Organ Donor Register, though most won’t ever become donors. 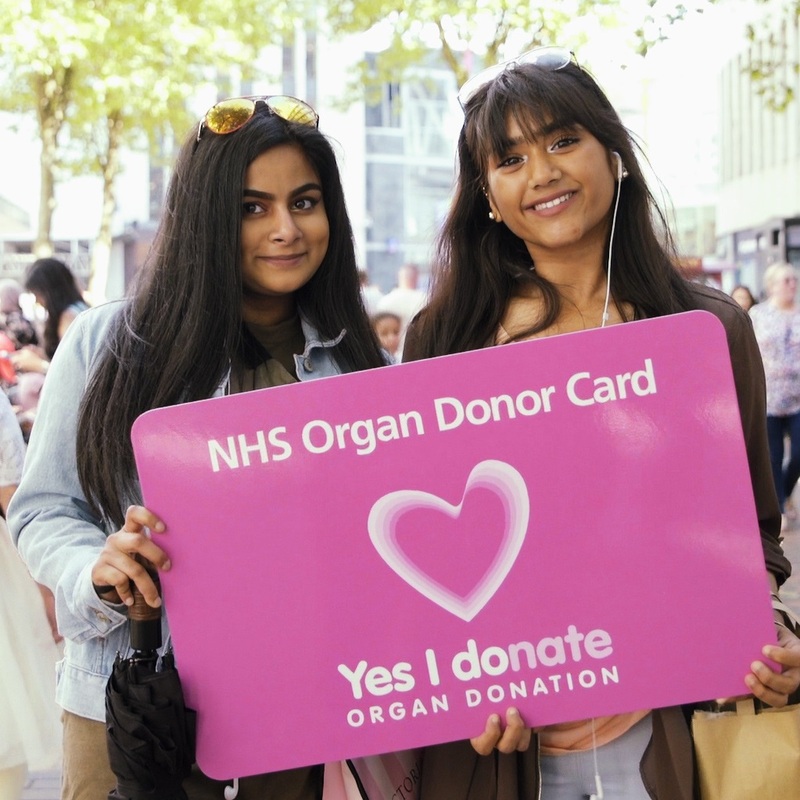 Only around 5000 people across the UK each year die in circumstances where they could donate their organs, which is why each donation is precious. Click the link below for more information on organ donation. Thousands of lives are saved or transformed in the UK every year due to organ and tissue transplants. Committing to be an organ donor only takes a few minutes of your time, but can bring a lifetime of health and happiness to those waiting for transplants. Your family will be asked to support organ donation if, when you die, you are in a position to donate your organs. If you register without telling your family, it may come as a surprise to them. Letting them know what you’ve decided now makes it much easier for them to support your decision, so make sure you tell them you want to be an organ donor. Age is not a barrier to donation and nor are the majority of medical conditions. Are you concerned about whether your religion supports organ donation? You’ll be pleased to hear that all the major religions in the UK support the idea of organ donation and transplantation. If you’re unsure of your faith’s position on donation, ask your religious leader or teacher, and click on the link below for more information regarding organ donation within each faith. It’s so important to talk to your family about organ donation so they can be supportive of your choice in the event of your death. Capital XTRA’s Yinka knows a thing or two about communicating with her friends and family about uncomfortable topics – just check out what happens when she tries to get her loved ones on board with some slightly unexpected requests!